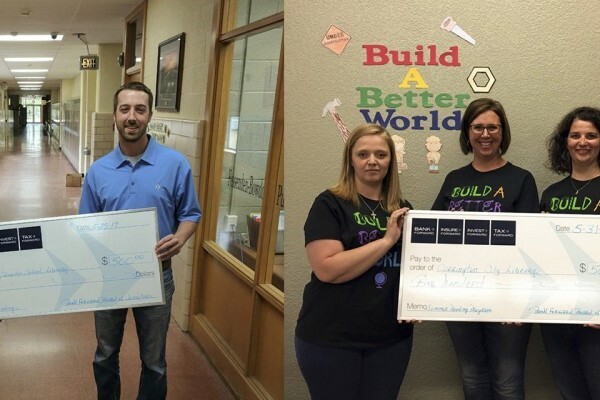 New Rockford, ND – As part of the Bank Forward’s 90th Anniversary Pay it Forward campaign, Josh Guler, Vice President, is pleased to announce a $5,000 donation has been made to New Rockford-Sheyenne Baseball Boosters’ scoreboard project. There’s no denying the beauty of a well kept baseball field. New Rockford-Sheyenne Athletic Director and Coach, Elliott Belquist, knows he’s got one of the best in the area. “We host a lot of games and tournaments on this field and one common thing we hear from people is, ‘wow, this field is beautiful!’” he shares. 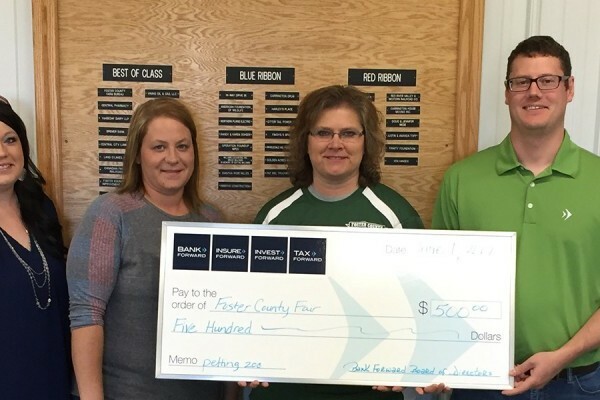 Coach Belquist and the Baseball Boosters are working to improve their field even more. Currently baseball and football share a scoreboard that is over 20 years old and has to be switched out for each season’s respective sport. 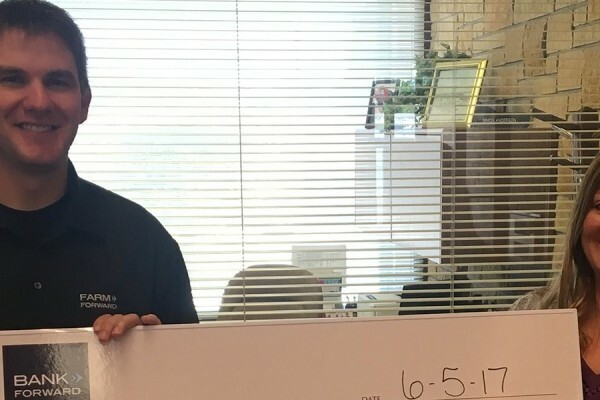 New Rockford-Sheyenne Baseball Boosters are working to raise $25,000 to purchase and install a new baseball scoreboard before they host the high school regional tournament the third week of May 2018. The new baseball scoreboard will be much bigger and include additional features such as showing the scoring for all nine innings along with team hits, errors and runs. There will also be arched letters on the top highlighting the New Rockford-Sheyenne team name and logo along with side and bottom panels recognizing donors. For more information on the scoreboard project or to make a donation, please contact Elliott Belquist or Linus Allmaras. Photo (l-r): Bank Forward’s Julie Ehni, New Rockford-Sheyenne Athletic Director and Coach Elliott Belquist, and Bank Forward’s Deb Rud.